The MT3L-0113H is a lower IF variant of our popular MT3H-0113H triple-balanced MMIC mixer. 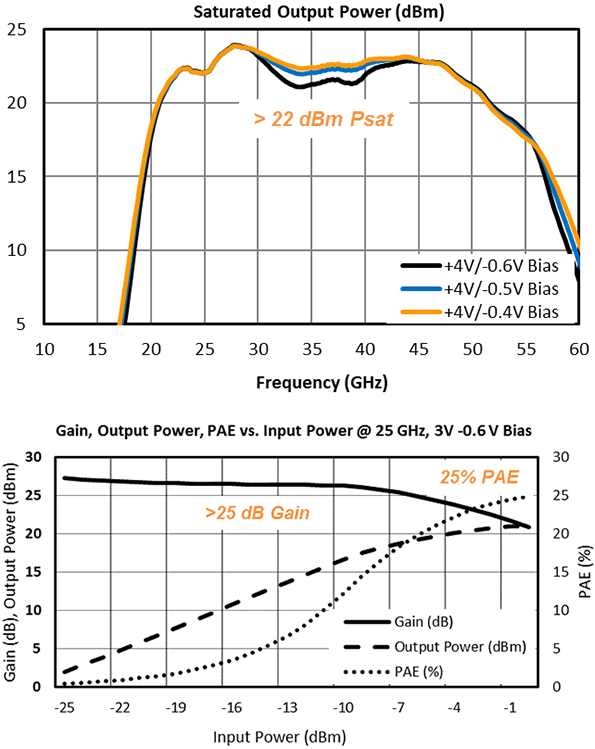 Greater than +30dBm IIP3 can be achieved when paired with our ADM series of square-wave generating LO driver amplifiers. 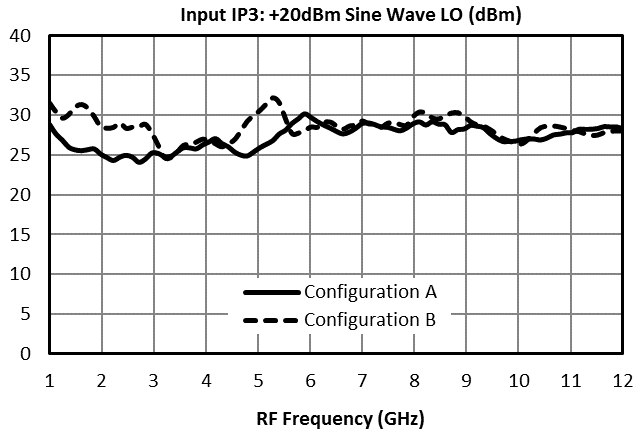 RF and LO cover 1.5 to 13 GHz, and the IF is 0.25 to 5 GHz. WIth port isolations greater than 40 dB and spur suppression over 60 dBc, this latest entry to the T3 product family is ideal for high performance radar, radio and test applications. MT3L-0113H is available now as bare die or connectorized module. Contact us for surface-mount QFN availability. The MM1-0832LSM/HSM double-balanced GaAs MMIC mixers from Marki Microwave are a great solution for X through Ka bands with full coverage for SATCOM and 28 GHz 5G applications. 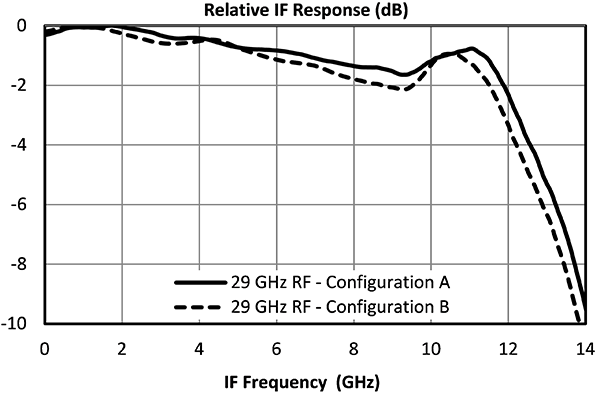 RF is a wide 8 to 32 GHz, LO is 8 to 30 GHz, and IF spans DC to 12 GHz. The high linearity MM1-0832HSM provides +22dBm IIP3 with an LO of +18dBm, while the MM1-0832LSM offers a low drive option requiring just +8dBm LO. Both versions of the MM1-0832 feature exceptional spurious suppression and port to port isolations to support demanding frequency plans. MM1-0832LSM and MM1-0832HSM are available in surface-mount QFN and connectorized evaluation modules. The AMM-6702UC is a connectorized millimeter wave amplifier with an ultrawide 20 to 55 GHz bandwidth, over 25 dB gain, and up to +23 dBm saturated output power with only a 0dBm input. This GaAs MMIC amp features a power-efficient design, consuming a mere 570mW. 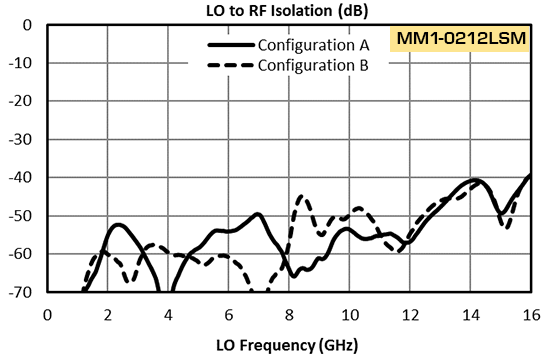 High linearity broadband mmwave mixers such as our MM1-1850S require high power broadband LO driver amplifiers, but these amps were largely absent from the market at frequencies above 40 GHz – until now. The AMM-6702UC‘s unmatched combination of bandwidth, power and efficiency make this an ideal LO driver amps for SATCOM, radar, 5G, and point-to-point applications. The MEQ10-50AU equalizer module is the first of our MEQ MMIC equalizer products to be offered in a connectorized package, based on the MEQ10-60ACH die. 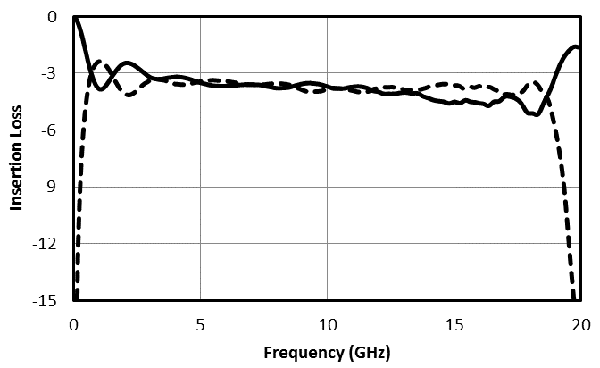 This EQ provides positive slope from DC to 50 GHz with a DC attenuation value of 10 dB. Return loss exceeds 15 dB for nearly the entire band. Our gain slope equalizers are ideal for compensating for cable loss or other lowpass filtering effects found in RF and high-speed data signal chains. MEQ10-50AU is available now. Ask us about connectorized versions of our 18 other MEQ equalizers. The CBR17-0026 offers the broadest bandwidth of any standalone bridge coupler on the market. The magnetically-coupled structures allow for an extended low end of 200kHz while still supporting applications all the way to 26GHz. It provides an extremely high degree of measurement accuracy for forward power measurements, and can also be used to measure VSWR/return loss. The flat coupling ratio, high directivity, and broadband performance make the CBR17-0026 an excellent ‘black box’ coupler for everyday lab use. The new QH-0R518 quadrature hybrid coupler achieves an astounding 36:1 bandwidth ratio, from 0.5 GHz to 18 GHz. Featuring excellent amplitude and phase balance, high 20dB isolation, and 20W power handling this 90 degree quad coupler enables a variety of applications such as single sideband conversion, image rejection, IQ modulation, balanced amplifiers and more. Check out our full selection of quadrature hybrids that extend to 67 GHz. 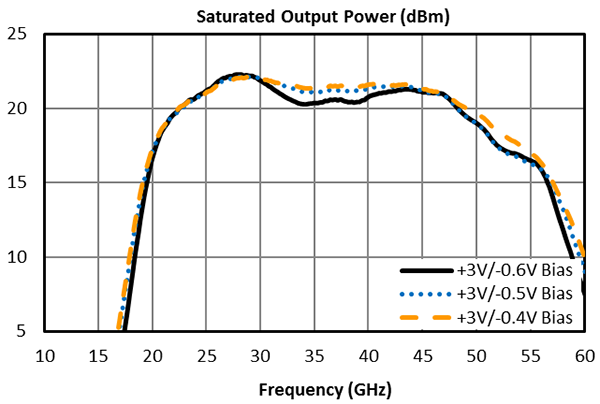 Marki Microwave’s two new unique frequency doublers provide wide output bandwidths, high output power and high harmonic suppressions. The ADA-0416 output spans 4 to 16 GHz and the ADA-1030 covers 10 to 30 GHz. Both are active devices accepting inputs of 0 to +6dBm and providing doubled outputs at +13 to +16dBm, ideal for driving our L and H-diode mixers. As an added bonus these units also serve as multi-component evaluation modules for the surface-mount amplifiers, bias tees, and multiplier contained within. 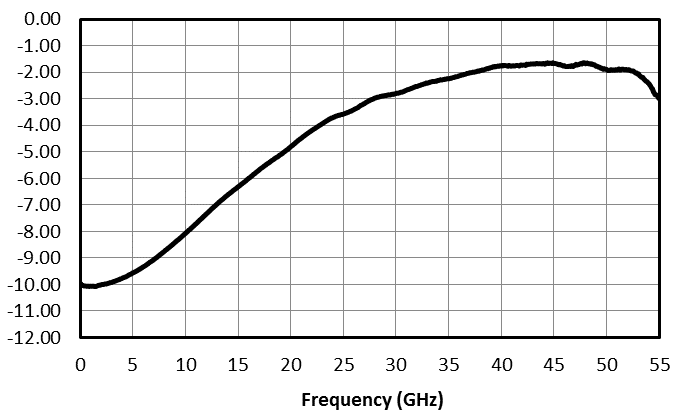 High linearity broadband mm-wave mixers require high power broadband LO driver amplifiers, but these amplifiers are largely absent from the market at frequencies above 40 GHz. Finally, Marki offers a solution to this problem with the AMM-6702: a wideband 20-55 GHz amplifier with over 25 dB gain and a strong, flat +22 dBm saturated output power. The AMM-6702 is the ideal LO driver amp for high linearity Marki Microwave mixers such as MM1-1850S and MM1-1240S, providing world-class efficiency and bandwidth for amplifiers in this frequency band. AMM-6702 is designed to provide a saturated output power up to +23 dBm with a low input power of +0 dBm while consuming as little as 570mW of DC power. This GaAs pHEMT MMIC features integrated input and output blocking capacitors, eliminating the need for external bias tees. The high dynamic range systems of the future need the best high power LO driver amps technology allows. Meeting the demand for these products with cutting edge design techniques is what Marki is all about. Contact [email protected] to learn how Marki can meet your amplifier requirements faster than you expect. Marki Microwave introduces an ultra-efficient broadband MMIC multiplier available in two unique drive level options. The MMD-2060L/H doubler spans an impressive 20 to 60 GHz of output bandwidth, features very low conversion loss and provides superior suppression with a typical 37dBc fundamental and 40dBc 3F suppression value. Based on your power requirements select either the MMD-2060L, which provides -6 dBm output power with a nominal +5dBm drive, or the MMD-2060H, which provides 0 dBm with +11dBm input. Ideal for a wide range of SATCOM, radar, 5G, and point-to-point applications, the MMD-2060L/H is available now in bare die or connectorized modules. two new product releases and a new IQ/SSB/IR Mixer Basics Application Note. Marki is expanding our line of MMIC quadrature hybrids (the MQH series) and quadrature splitters (the MQS series) with six new products in the S, C, X, and Ku bands. Each model is available as a bare die or in a connectorized module, and all offer excellent phase and amplitude balance over unprecedented bandwidths in a small form factor. MQH products are true quadrature hybrids in the sense that all four ports are identical, making them suitable for all quad hybrid applications including reflectionless filters, reflective phase shifters, reflective variable attenuators, balanced amplifiers, Butler matrices, and of course IQ, image reject, and single sideband mixers (on either the LO or IF port). MQS products are quadture splitter/combiners. They are best used in a single configuration (with port 1 as the input) and offer broader bandwidths with the same excellent phase balance. However, they are not as good in reflective applications. They are still suitable for use in IQ/IR/SSB mixers and other applications where a single quadrature split or combination is required. Contact [email protected] for more information or to request samples. The best IQ mixer line in the world, the MMIQ series, is expanding again with the addition of the MMIQ-0626HSM and MMIQ-0520HSM. These high barrier diode IQ mixers offer improved IP3, P1dB, and spurious suppression to their low barrier counterparts, theMMIQ-0626LSM and MMIQ-0520LSM. They are the surface mount version of the bare die MMIQ-0626HCH and MMIQ-0520HCH. They are excellent choices for high dynamic range IQ mixers for test and measurement applications. 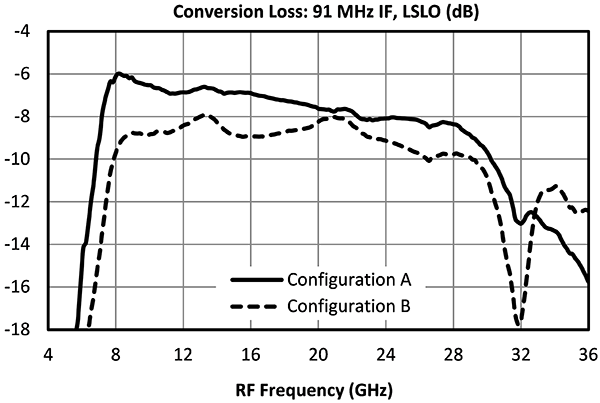 Operation of IQ, image reject, and single sideband mixers are among the most difficult concepts for RF and Microwave engineers to understand. Further, these mixers provide advantages in dynamic range (improvements in linearity, reduction in noise) that are not widely recognized. Following the wide success of our Mixers Basics Primer, Balun Basics Primer, and Power Divider & Directional Coupler Primer, the new IQ, Image Reject, and Single Sideband Mixer Primer from Marki seeks to educate RF and Microwave engineers in the theory, operation, and benefits of using these mixers in advanced system design. Marki Microwave introduces the MM1-0212LSM/HSM/SSM passive GaAs surface-mount mixer family providing the ultimate design flexibility for S, C, and X-Band. With a wide RF/LO bandwidth of 2 to 12 GHz and IF of DC to 3 GHz, the MM1-0212LSM/HSM/SSM mixers are ideal for radio, radar, electronic warfare, and sub-6GHz 5G applications. Differentiated by LO drive and linearity, these high performance mixers provide over 52 dB L-to-R isolation and excellent spurious suppression. All mixers are available today in 4×4 mm QFN, bare die, and connectorized modules. Introducing the first triple-balanced surface mount MMIC mixer that covers X/Ku/K bands in a small QFN package. 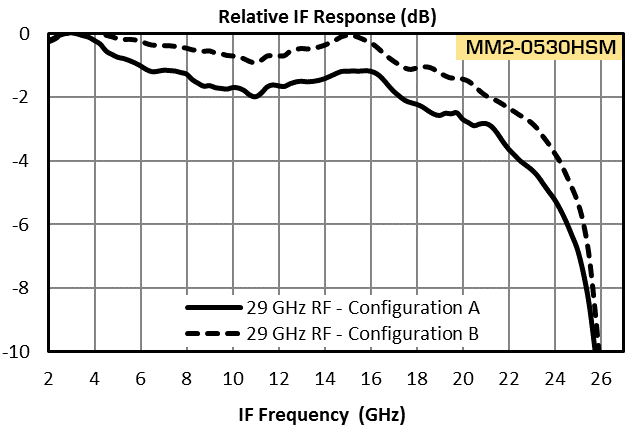 The high linearity MM2-0530HSM features massive overlapping bands with RF/LO from 5 to 30 GHz and IF from 2 to 20 GHz. The unique design provides IP3 of +28dBm and optimal spurious suppression, especially for difficult IF harmonics. Port-to-port isolations are an exceptional 35dB typical. For lower LO drive applications we offer the MM2-0530LSM. Both are available in 5 x 5 mm QFN, on an eval board, as bare die, or in a high performance connectorized module. Our popular MMIC equalizer die are now offered in surface-mount 3mm x 3mm QFN packages. Optimized for excellent return loss over the entire band, the MEQ series equalizers provide consistent unit-to-unit performance in a small low-cost form factor. 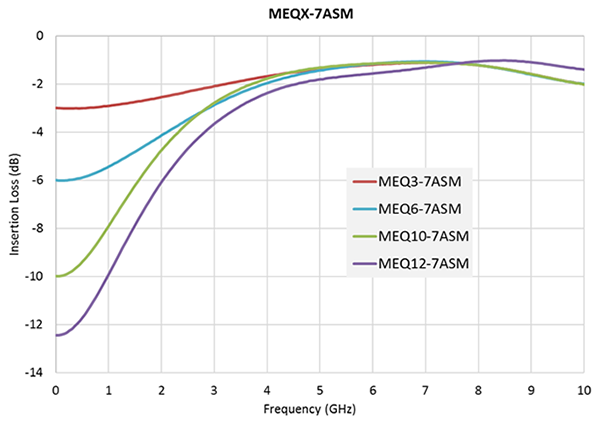 The MEQX-7ASM family is available in four configurations and provide positive slope from DC to 7GHz with DC attenuation options between 3 and 12dB. Coming soon are the DC-14GHz MEQX-14ASM and DC-20GHz MEQX-20ASM families of equalizers. S-parameters are available on our website. Marki Microwave is proud to launch their first series of GaAs MMIC quadrature hybrid couplers spanning 9 GHz to 42 GHz. Each 90 degree hybrid coupler was optimized for high isolation and offers exceptional amplitude and phase balance. Three products are available at launch: MQH-0920 (9 to 20 GHz), MQH-1434 (14 to 34 GHz), and MQH-1842 (18 to 42 GHz). Applications include single sideband upconverters, image rejection downconverters, IQ modulators, balanced amplifiers, microwave correlators, and microwave Butler matrices. All MQH’s are available as wire-bondable die. Marki Microwave continues to be the leader in broadband balun design with their latest multi-octave GaAs MMIC balun. 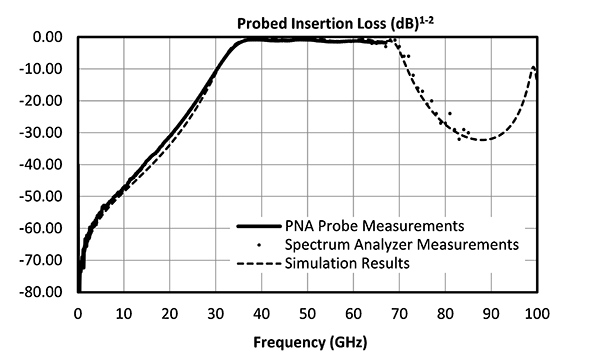 The MBAL-1440 provides outstanding amplitude and phase balance over a range of 14 to 40 GHz. Offering high isolation and common-mode rejection, this balun is ideal for high-speed track-and-hold amplifiers for ADCs, balanced amplifiers, and signal integrity applications. MBAL-1440 is available as wire-bondable die. Marki Microwave is introducing the latest addition to our world-leading GaAs MMIC IQ Mixer family with the MMIQ-4067LU module. This V-band mixer spans 40 to 67 GHz with an IF bandwidth of DC to 20 GHz. Due to the excellent phase and amplitude balance of its on-chip LO quadrature hybrid, the MMIQ-4067LU rovides an exceptional 33dB of LO-RF isolation and 35dB of image rejection. It is available today in a connectorized module. At Marki Microwave our mission is to empower engineers to shatter performance barriers. True to that mission, we offer a wide selection of high linearity, wide bandwidth GaAs MMIC IQ mixers for applications in image reject mixing, vector amplitude modulation, band shifting, and IQ modulation/demodulation. Our RF, LO, and IF bandwidths are the widest in the industry, enabling engineers to push the boundaries of what is possible. Just as with our double and triple balanced mixers, we typically offer our IQ mixers in two diode options to allow customization for either low LO drive or high linearity applications. When performance matters, there’s only one name in mixers – Marki Microwave. 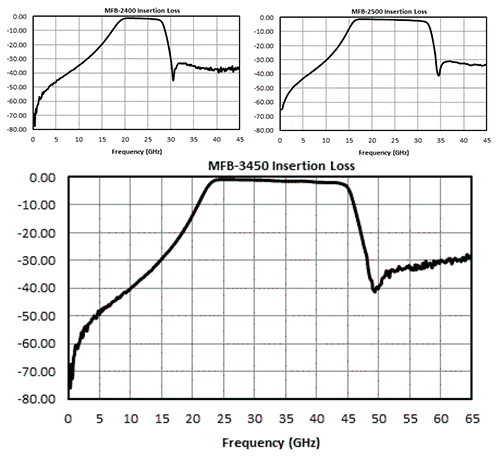 The MFB-5350 bandpass filter is the latest addition to Marki Microwave’s growing catalog of in-stock MMIC filters. This V-band filter has a passband of 37 to 70 GHz with a low 1.2 dB insertion loss and excellent return loss. Our GaAs MMIC process ensures highly repeatable performance and scalability for high volume applications as pre-select, image, or LO cleanup filters. The MFB-5350 is available today in wire-bondable die. Marki is proud to introduce surface-mount versions of our low-barrier diode MMIC IQ mixers. 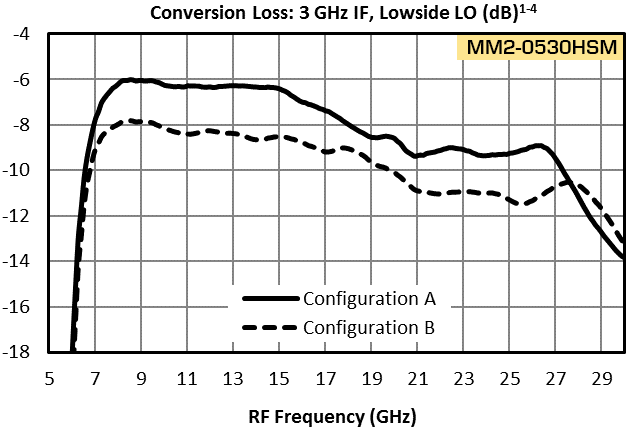 The MMIQ-0520LSM and MMIQ-0626LSM, with wide RF/LO bandwidths of 5 to 20 GHz and 6 to 26 GHz respectively, provide exceptional LO-RF isolation and spurious suppression. When used as an image reject or a single-sideband mixer (with an external IF hybrid) these IQ mixers provide excellent image/sideband suppression. A low +3dBm drive level is all that’s required. MMIQ-0520LSM & MMIQ-0626LSM are available in 4×4 mm QFN or connectorized evaluation module. Introducing a broadband high-linearity mixer optimized for the emerging 5G market. Whether designing for 28 GHz, 39 GHz, or one of several proposed bands this one mixer answers the call with ultra-wide RF/LO bandwidth covering 10 to 44 GHz and IF bandwidth of DC to 14 GHz. Like all Marki mixers, the MM1-1044L/H features outstanding spurious suppression and isolations. This mixer is offered in two diode options for tailoring to your specific LO drive level and linearity requirements. Unique to the MM1-1044L/H, and attractive for high volume 5G applications, is that this performance is offered in a smaller form factor and at a fraction of the cost of other high performance Marki mixers in this frequency range. Available now as 0.8 mm x 1.2 mm wire-bondable die or in a connectorized module. 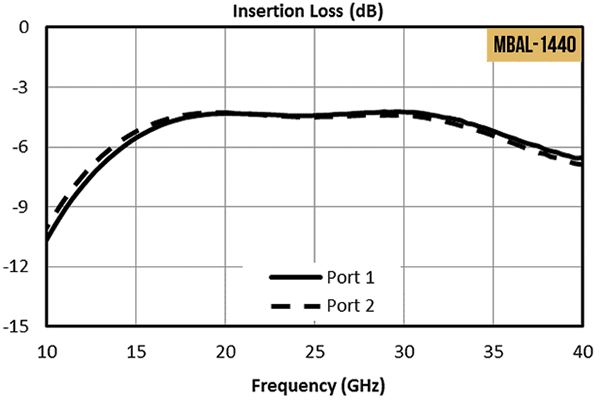 Introducing Marki Microwave’s latest passive frequency doubler, the MMD-3580L, is designed specifically for V-band applications with output frequencies from 35 to 80 GHz. Featuring a low 11 dB conversion loss, the MMD-3580L provides superior suppression with a typical 38 dBc fundamental and 44 dBc 3F suppression value. 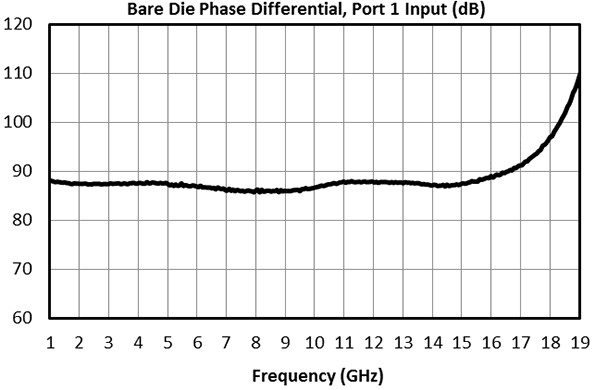 A unique feature is the low input power requirement of +7dBm, ideal for high frequency applications where power comes at a premium. This doubler is available as bare die or in one of two connectorized modules. Marki Microwave now offers a versatile DC to 35 GHz amplifier in a bare die package, with 14 dB of gain and +22 dBm saturated output power. The ADM-5974CH provides efficient optimized LO drive to all Marki Microwave mixers, ideal for electronic warfare, clock distribution, or test and measurement applications. The design allows for single-supply DC biasing for customer convenience or for optional negative bias to increase even harmonic rejection and decrease DC current consumption. ADM-5974CH is built with a low-noise GaAs pHEMT process to provide competitive phase noise performance. The ADM-5931CH offers an efficient low-power solution for use as a pre-amp or LO driver amplifier, providing 11 dB of gain and +17 dBm saturated output power with less than 100 mA of DC bias current. 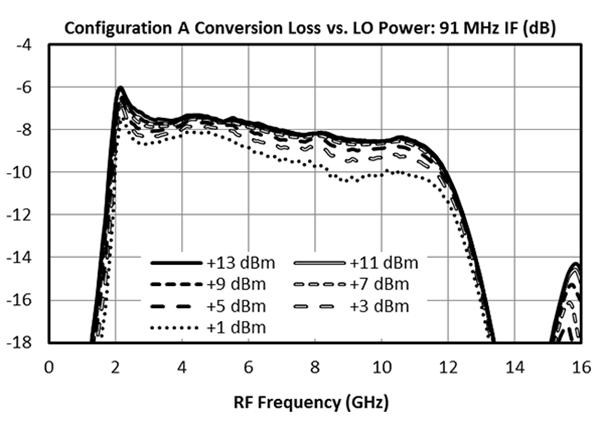 ADM-5931CH‘s extended DC to 28 GHz gain and low even harmonic generation provide enhanced linearity as an LO driver for Marki Microwave’s T3 mixers. 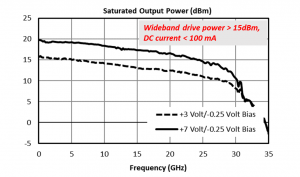 Requiring only a single positive bias voltage, a negative supply voltage can be added for enhanced even harmonic rejection and reduced DC current draw. 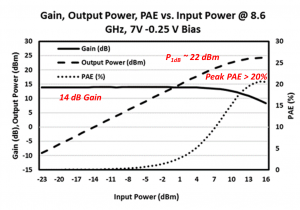 Low-noise pHEMT technology gives the ADM-5931CH competitive phase-noise performance. ADM-5931CH is available as bare die. MMIC filters from Marki Microwave provide outstanding savings in board space and cost, while offering exceptional in-band performance and out-of-band rejection. We’re introducing three new filters for K and Ka band applications. MFB-2400 has a bandwidth of 21 to 27 GHz, MFB-2500 covers 18 to 32 GHz, and MFB-3450 targets both K and Ka band with a 24 to 45 GHz bandwidth. 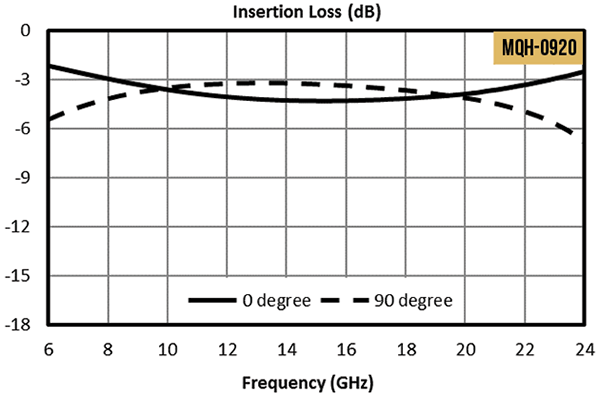 All three filters feature a low 1.5 dB insertion loss, excellent 15 dB return loss, and 30 dB ultimate rejection. These filters are tiny at only 1.25 mm2. With their small footprint and low insertion loss, these filters can easily be inserted as pre-select or image reject filters at RF front-ends or as clean up filters in clock paths. Our MMIC process ensures highly repeatable performance and scalability for high volume applications. MFB-2400, MFB-2500, and MFB-3450 are available today in wire-bondable die. Marki Microwave is introducing 3 new passive GaAs MMIC mixers, each covering RF/LO from 2 to 12 GHz and IF DC to 3 GHz. These broadband mixers are of similar design offering exceptional port-to-port isolations with LO-IF approaching 50dBc. What differentiates each mixer is the LO drive required and the resultant linearity. The MM1-0212L will operate with as low as +1dBm LO drive and provide IIP3 up to +14dBm at nominal drive levels of +9dBm. The MM1-0212H has a nominal LO drive of +15dBm with IIP3 of +23dBm. For the most demanding applications we offer the MM1-0212S with nominal LO drive of +20dBm (up to +23dBm) and an outstanding IIP3 of +29dBm. The 2017 International Microwave Symposium was held in beautiful Honolulu, Hawai’i. Hundreds of exhibitors showcased their present technology and forecasted the future capabilities of Microwave technology. This event compels the industry to create real solutions to new world opportunities such as 5G possibilities. IMS provides a platform for Vendor and Customers to make in-person connection and provide or a litany of opportunities to push the boundary of capability. Thank you to all who stopped by our booth and all those who make this keystone event possible. We look forward to seeing you next year at IMS 2018 Philadelphia.